The System detests isolated pawns, and you should too. It is not so much that isolated pawns have to be defended by pieces; it is much more that the squares in front of an isolani can no longer be attacked by a pawn. The System favours board control strategy, and when there are important squares that can no longer be controlled, the strategy has probably failed. Isolated pawns may be all right if they are passed; particularly if they are centre pawns and have advanced beyond the 4th rank. Isolated pawns are also not a serious disadvantage of they are a- or h- pawns because the squares in front of them are not very important. 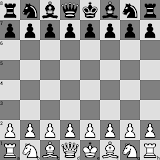 Side-by-side pawns on the 4th rank such as on d4 and e4, or c4 and d4 are very good. They control a significant part of the board, and as such are worth much more than they amount to individually.